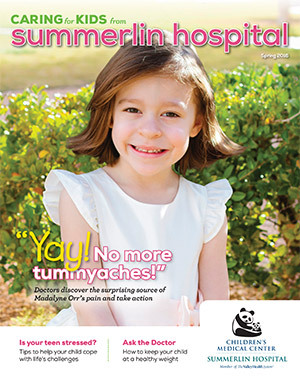 Specialists at the Children’s Medical Center discover the source of Madalyne Orr’s pain and take action. Encouraging your child to choose the right foods and get enough exercise can be a daunting task. Everyone experiences stress at different stages of life, but teenagers can be particularly vulnerable.